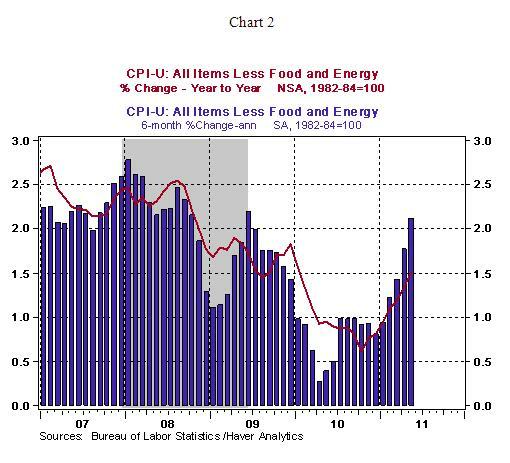 The core Consumer Price Index (CPI), which excludes food and energy, increased 0.3% in May from the previous month and moved up 1.5% on a year-over-year basis and which leaves the Fed less comfortable than it has been in the past few months. The good news is that inflation is a lagging indicator and projections for the second-half of the year show moderate pace of growth and inflation. 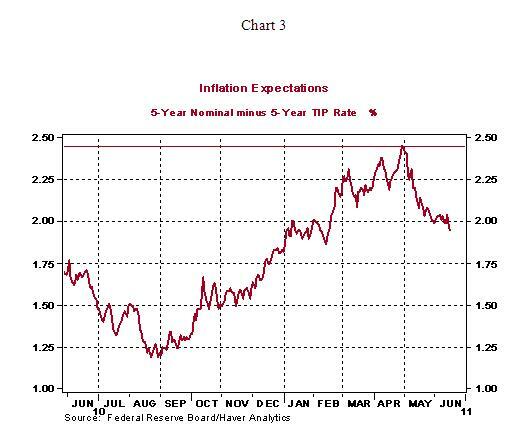 Market expectations of inflation also indicate a downward revision of the April assessment of medium term inflation, with inflation expectations at 1.95% as of June 16, down from 2.45% as of April 29 (see Chart 3).